Book – Non-fiction. 2011. By Howard Zinn. Introduction by Cornel West. Includes some never before published writings, speeches and interviews that illustrate the evolution and fundamental principles around the story of race in the United States. ISBN: 9781609801342 | Published by Seven Stories Press. Historian Howard Zinn talks about how the tightly segregated society became an integrated one. No Human Being is Illegal: In this July 2006 article for The Progressive, Howard Zinn provides a context for today’s immigration reform debate by tracing the history of how we’ve treated foreign-born people in this country since the Revolutionary War: from anti-Irish and anti-Chinese sentiment in the mid-and late-nineteenth century to the deportation of Russians from the U.S. just after the Bolshevik Revolution, from the McCarthy Era to the ironically titled Patriot Act. Howard Zinn portrays the Bush Administration’s decision to build a wall at the southern border of California and Arizona as a tired example of our politicians and our government surrendering to fear while forgetting the equal rights that all humans share.—Eds. HOWARD ZINN, America’s most popular historian, has introduced four generations of Americans to his views on democracy, civil disobedience, history, and war. 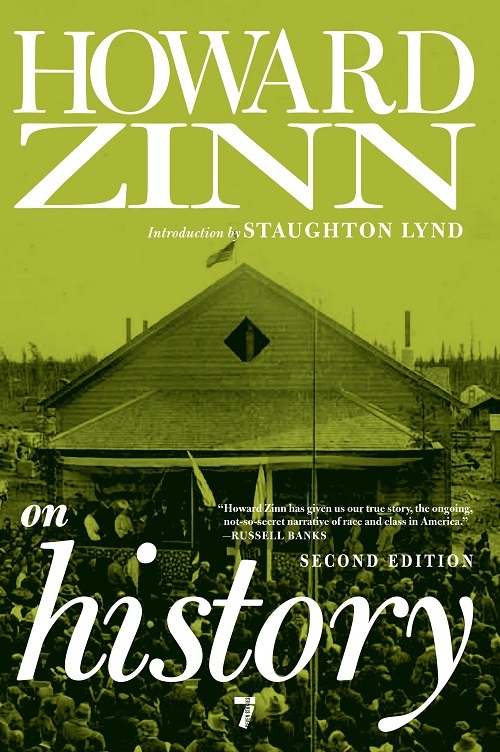 Zinn’s books have sold over two million copies and, in 2009, a film based on two of his books, The People Speak, aired on national television, bringing his vision to millions more. 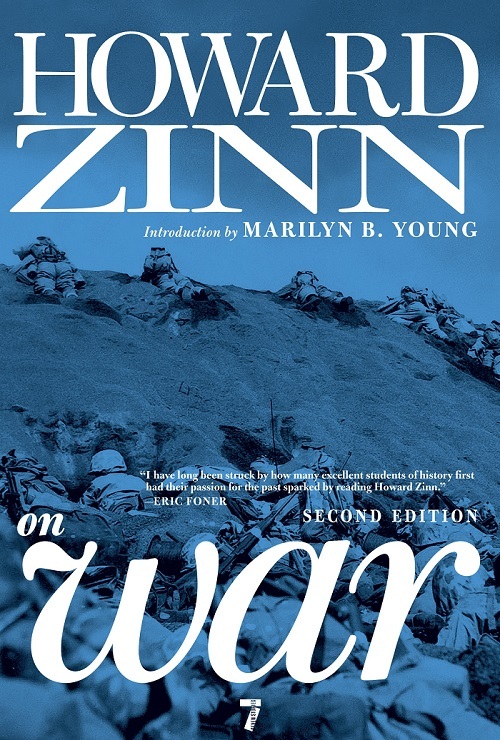 Zinn died at 87 in 2010, but his books, ideas, and activism live on. Book – Non-fiction. By Howard Zinn. Introduction by Staughton Lynd. 2011. A collection of 27 writings on activism, electoral politics, the Holocaust, Marxism, the Iraq War, and the role of the historian. Book – Non-fiction. By Howard Zinn. Introduction by Marilyn B. Young. 2011. Essays spanning 1962 to 2006 that examine specific wars, wartime incidents, and the force of non-violence to move beyond war, if we are to survive.